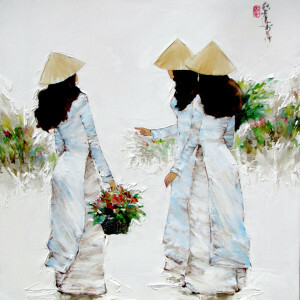 Spring is the season of revival and youth, resonated by the purity of white lilies. 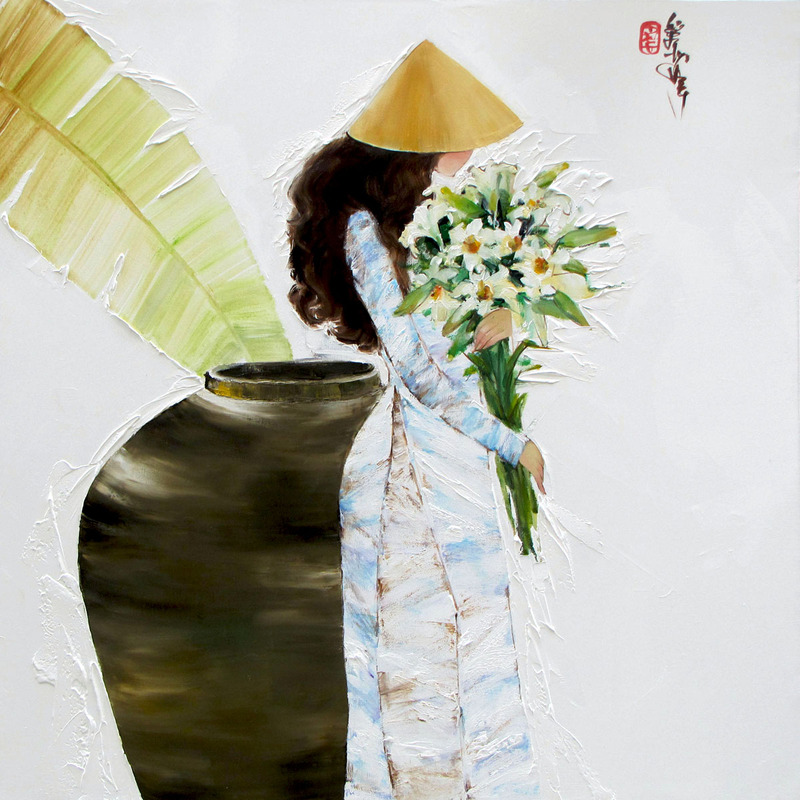 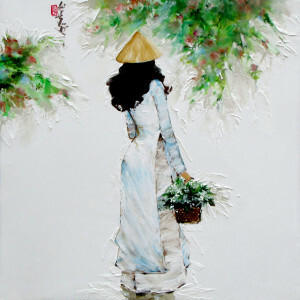 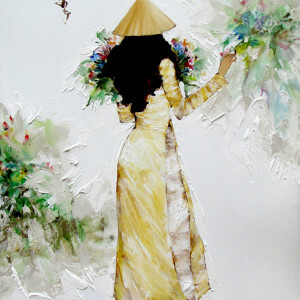 This inspired Vietnam painter Luong Dung to create this beatiful piece of Asian art showing a young girl with a bouquet of lilies. 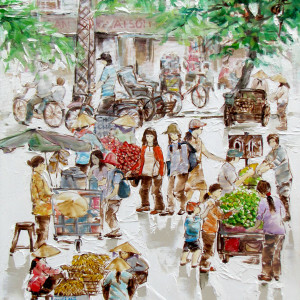 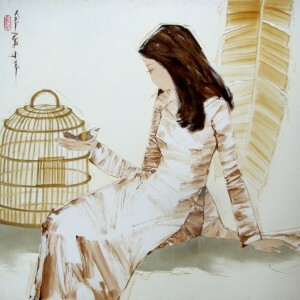 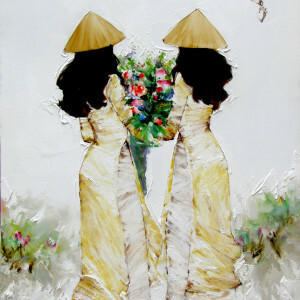 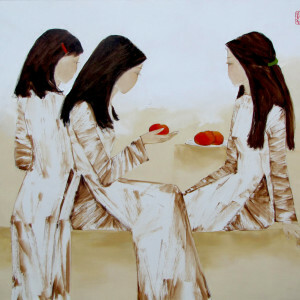 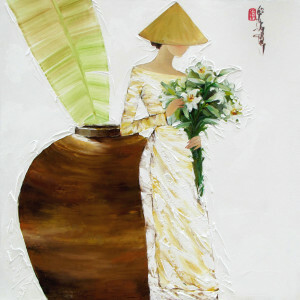 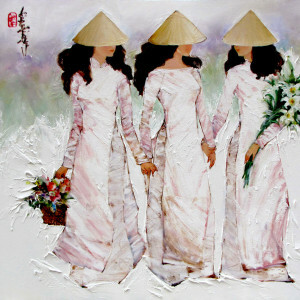 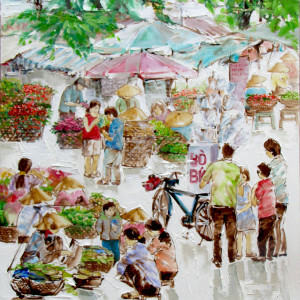 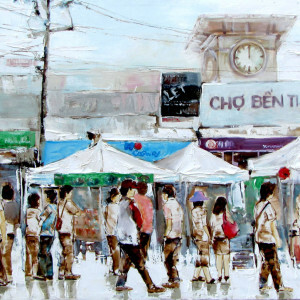 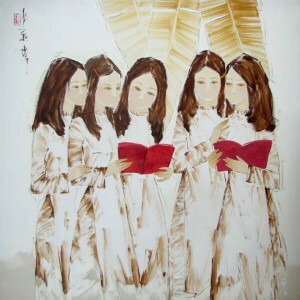 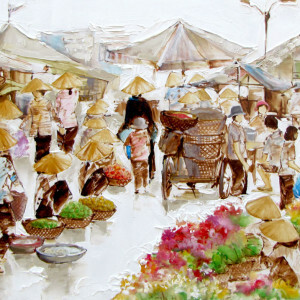 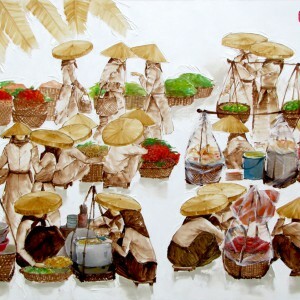 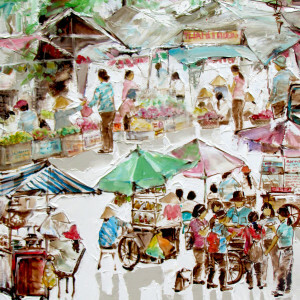 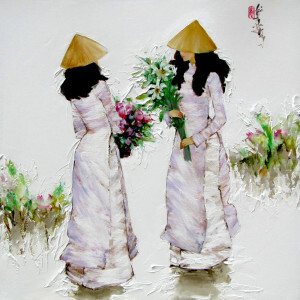 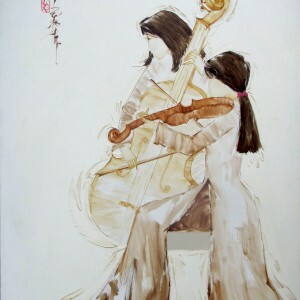 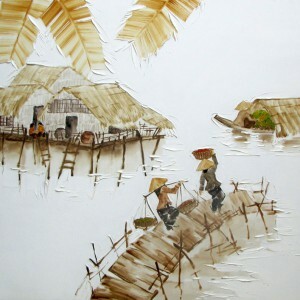 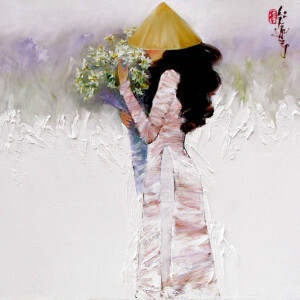 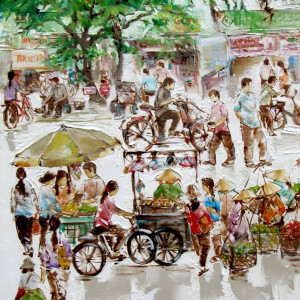 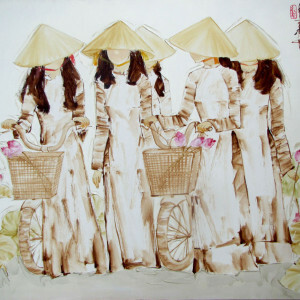 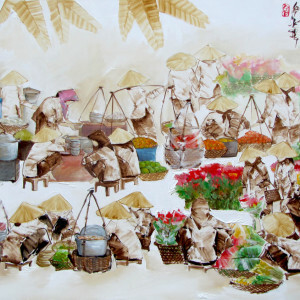 This beautiful and enagaing piece of stylized figurative art bears all the characteristics of Dung’s painting style.